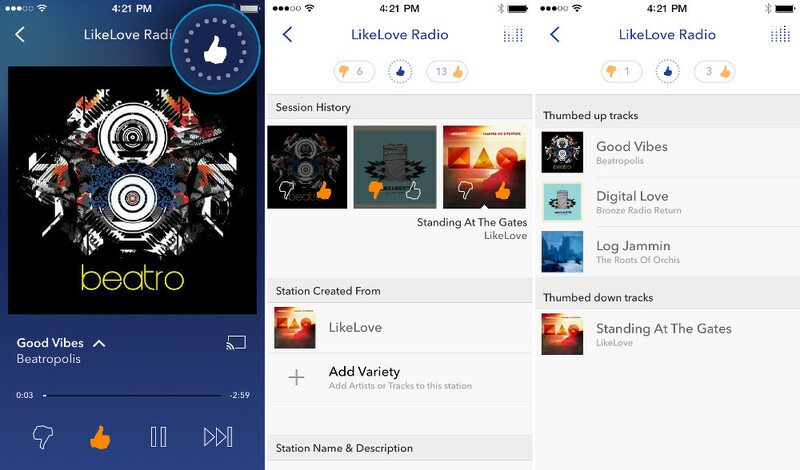 Pandora announced a “refresh” to their mobile experiences this morning, a refresh that includes a redesigned app interface, enhanced station personalization, and improved artist discovery. The new experience is currently in beta and available to about 3% of the streaming service’s base, but should rollout to all over the coming months on both phones and tablets. The updated UI introduces listeners to a “fresh, evolved design” that will lay the foundation for future updates, but also includes new transitions and animations to drive a “sense of place into the listening experience.” Yes, that’s apparently a thing. There is a new Personalization Icon as well, which gives users a “more holistic view” of their stations, along with a comprehensive thumb history and an un-thumbing capability. Finally, users will now have easier access to artist information, thanks to “swipe and tap” navigation. A Redesigned interface — Listeners now encounter a fresh, evolved design that brings station personalization to the forefront of the listener experience. The application’s new look builds on Pandora’s principles of simple and clear design and lays the foundation for future updates that will be driven by listener feedback. Also, with new transitions from the Station List to the Now Playing screen, listeners now have ultimate clarity on sense of place when navigating their listening experience. Enhanced station personalization capabilities — Through the new Personalization Icon, listeners have easy access to features that give them a more holistic view of their Pandora stations. These features include the ability to view comprehensive thumb history and adjust thumb feedback for previously listened-to tracks through a new “un-thumbing” capability. Improved artist discovery — With this redesign, listeners will have even easier access to artist information. Simple “swipe and tap” navigation gives listeners access to song details so they can learn more about new artists along with their favorites.